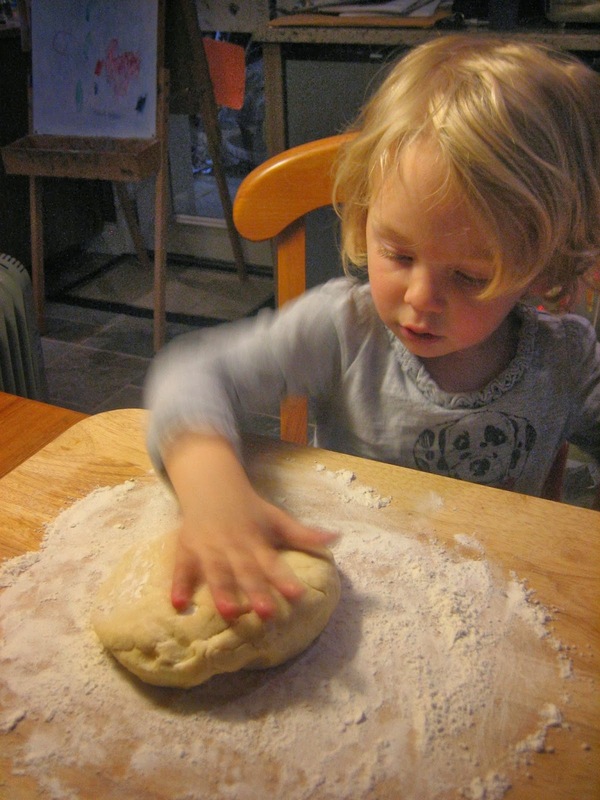 Taryn was so excited to help me with the dough to our two pies we brought to Thanksgiving. 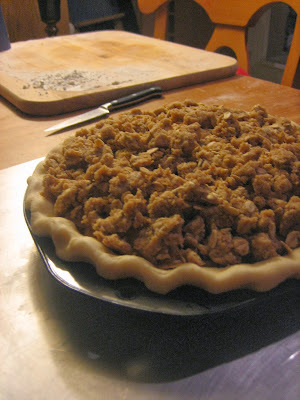 One Pumpkin and a Crunchy Apple pie (pictured above before we baked it.) She helped "pat" the dough and roll it out when it came time. She was quickly covered in flour and so was our floor. That's what vaccuums are for, right? She was loving every minute of it! I also brought Yum Yum Yams which is a family favorite. I was thankful we had access to an oven so I could prepare these items and bring them to our Thanksgiving dinner. Very, very grateful!!!! We loved our time at Melanie and Marijan's house. Melanie (a co-worker of Tyson's and fellow SAIS alumni) made a wonderful dinner and was such a gracious host. Taryn warmed up so quickly to everyone- perhaps she remembered them from when we lived in Italy (all guests were SAIS alumni with Tyson) or perhaps it was the fact that everyone was playing with her and she was loving it!! Hadleigh was quickly snatched up and I think I only held her when I had to nurse her! Judit even took a nap with Hadleigh! It was so fun to see our good friends loving on our little ones. Thanks for a fun Thanksgiving spent with friends and our little family. We have so much to be grateful for! !